If you want to establish customer loyalty, then it is essential that you keep close and continuously interact with your customers. You must engage them and let them air their thoughts. Only through this way can your business flourish and only through this can you acquire a lot of new customers every time. You can collect important information, which you can use to adjust your marketing plans or products as well as create new products or services. 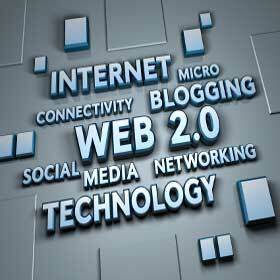 You can easily give them an update about your internet business. Now, the question is: How do you engage your customers? Post status updates to announce the various stages of your product launch, announce new product ideas, or present changes you are planning for your website. Provide photos, screenshots, or videos, if possible. Allow your customers to share their thoughts, comment, or share their own stories. If I do this, what benefits will I exactly get? It will show them how much thought and work goes into the products you create. Eventually, they will grow to appreciate your brand and efforts in connecting with them. Google Plus. Are you familiar with it? It is a social networking and messaging system integrated in Gmail, and it is now one of the things you should not forget if you want to use Web 2.0 to your advantage. Your Facebook fan page is a great medium to get more traffic to your site, establish your online presence, and generally achieve success. However, without anyone knowing about your site, achieving any of your goals is next to impossible. There are a lot of features on Facebook that you can use for getting more traffic. However, some of them are left behind, even when they can produce great results if used wisely.